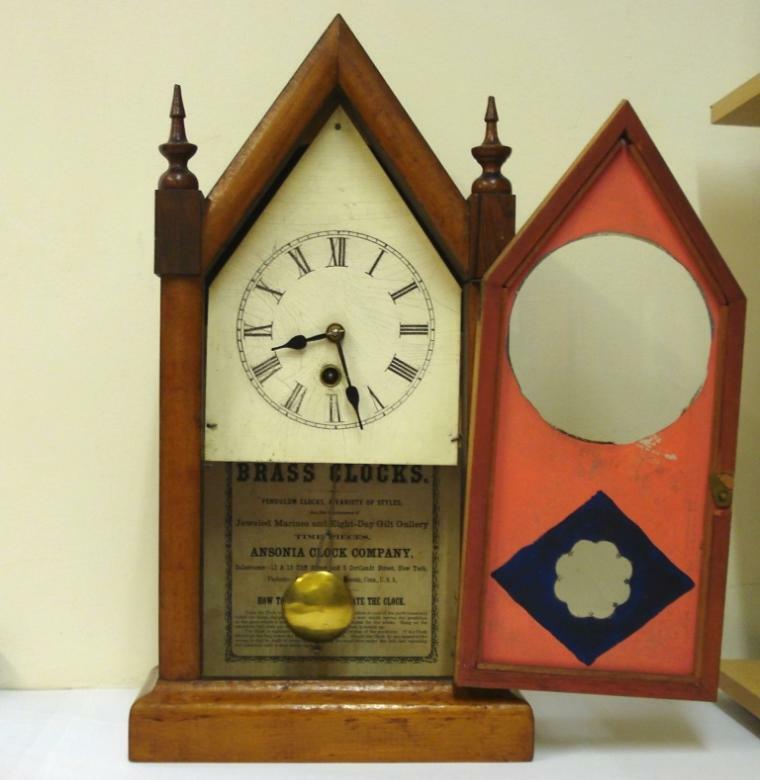 Stock Number: CLMA059 - American Ansonia Clock Co. Mantel Clock - £245. 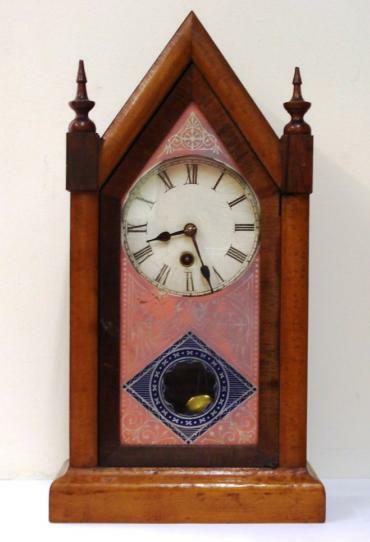 American 30 hour fruit wood veneer cased mantel clock timepiece circa 1885. 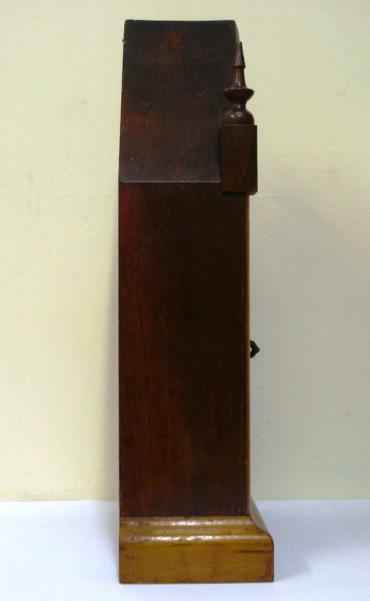 Simple lancet topped case with turned finials and integral plinth. 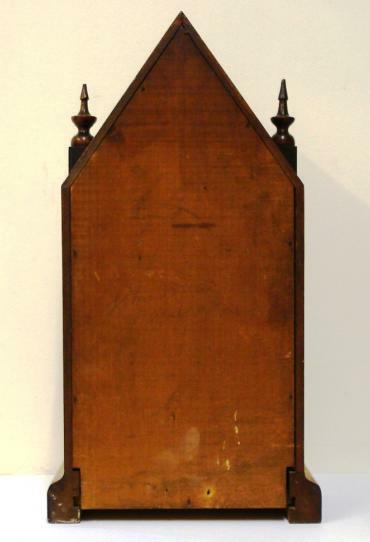 Full length lancet topped door with flat glass painted with pink and blue decoration and over an aged white painted dial plate with black roman hours and black steel hands. 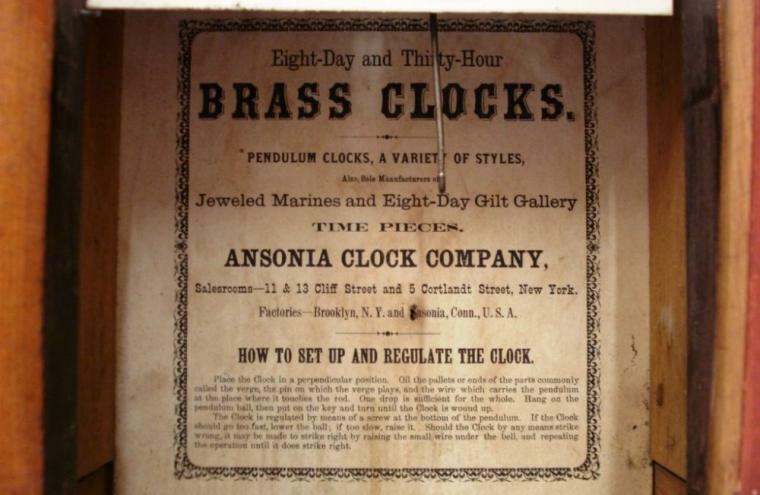 Simple american Ansonia Clock Co. brass, spring driven pendulum regulated, movement with moving pendulum visible through the glass door. 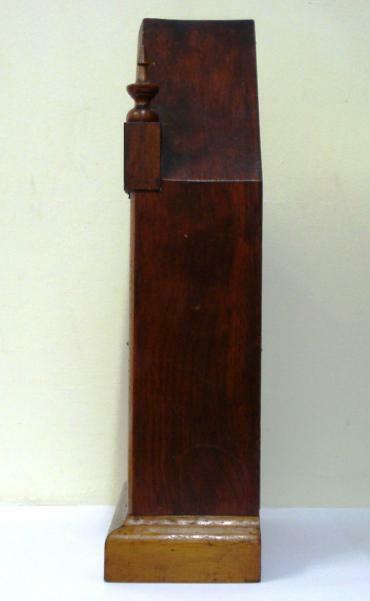 Dimensions: Height - 16", width - 8.5", depth - 4".